This posting is a little overdue… And any of you that follow my Facebook page have already seen me whine.. I headed out for my run on Saturday, after eating a large supper. Now, I know that running right after eating can cause problems, so I kept this in mind. having really enjoyed this mid-day supper of chicken-pesto melts & corn on the cob, I waited a little over two hours before I headed out. That should be enough time for the ‘ole stomach to settle, right? Apparently not. This was, without a doubt the worst run I have had in ages. (Now mind you, I have really been enjoying all of my runs lately, but that isn’t the point!) I decided to do my long run on Saturday, as Sunday was mother’s day. Like any good husband, I was planning on spending time with the mother of my children on that day! I certainly didn’t want to interrupt the day with my having to go do a long run, and spoil the day’s plans! 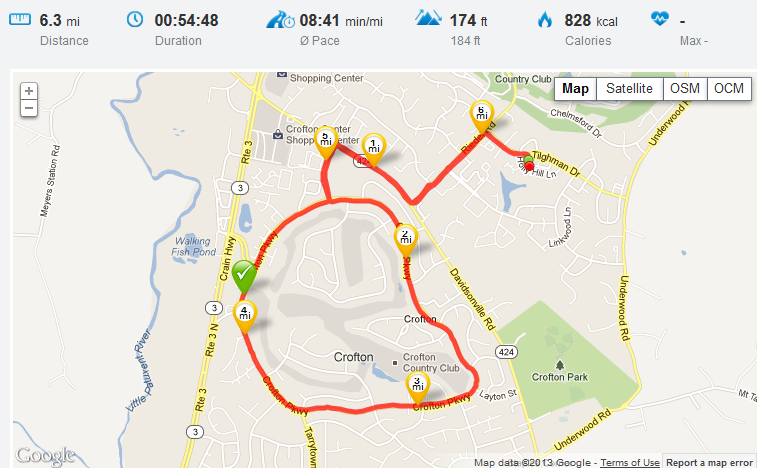 The usual ‘long” course lately… Its about time to increase this as well I think. I did my 6.3 mile loop – and never “lost it” if you know what I mean (think large supper.) On top of that, my left foot’s PF was really bad, and my right ankle was being all weird. Despite that, I ran it at a fairly good clip considering the way I was feeling. 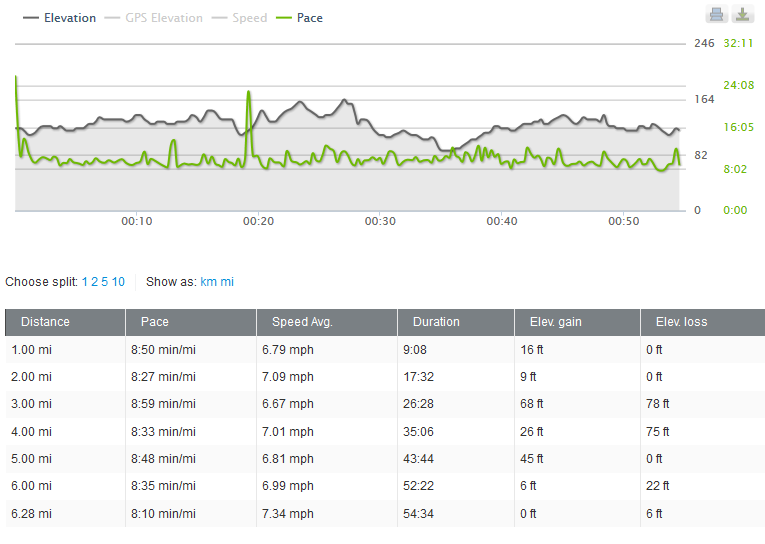 It seems my 8:30 – 9 minute mile is my new pace.. I’m not upset by that at all! This week I am hoping to start speed work, to see if I can get that down to 7:30-8 minute/mile! I know I have been focused on the numbers of my running lately, and will be expanding back to photos and other things I see as I run. I am modifying my arm-band so that it has a camera-hole. I’m thinking that will make picture taking much easier – just take the band off, point, click and put it back on.. No need to slide it out of the holder and back in. 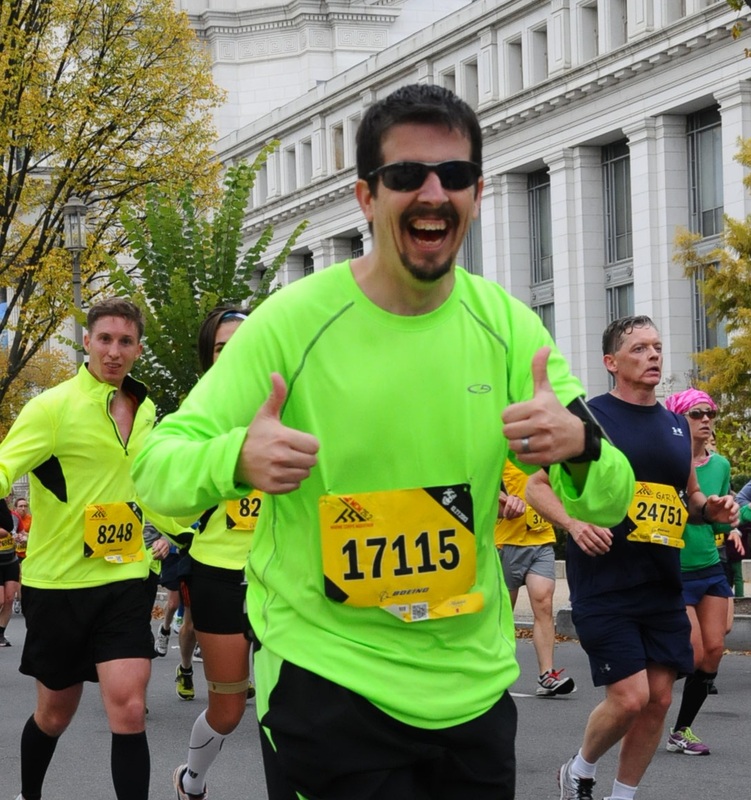 My races for the next couple months have been side-lined, due to a tight financial situation. ‹ Dehydration or pending illness? ‘eh, lets run anyway. Just looking at the numbers, this looked like a pretty good run. Considering how you felt, and that you had just (I know, 2 hours isn’t ‘just’) had a large dinner, I would qualify this as a great run!